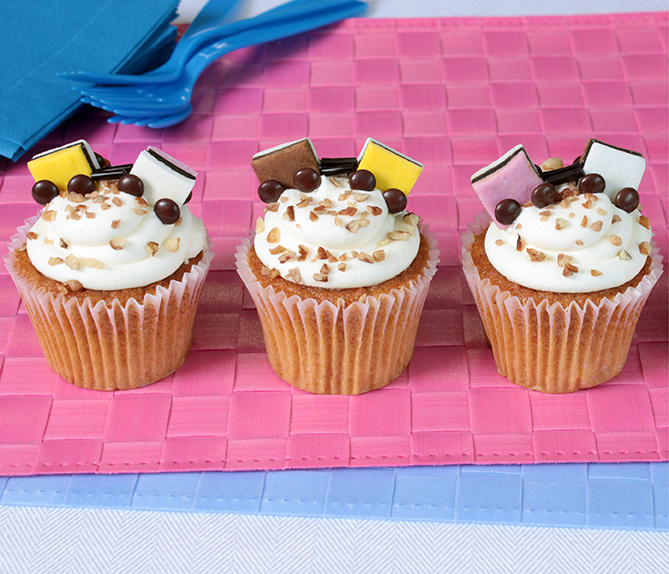 Place striped candies on top of cupcakes leaving about 1/2” (1.2 cm) between each. Add 4 M & M’s to each candy for the wheels. Cut licorice into 1/2” (1.2 cm) pieces. Place 2 pieces between the box cars. Chocolate chips work well for the wheels too.